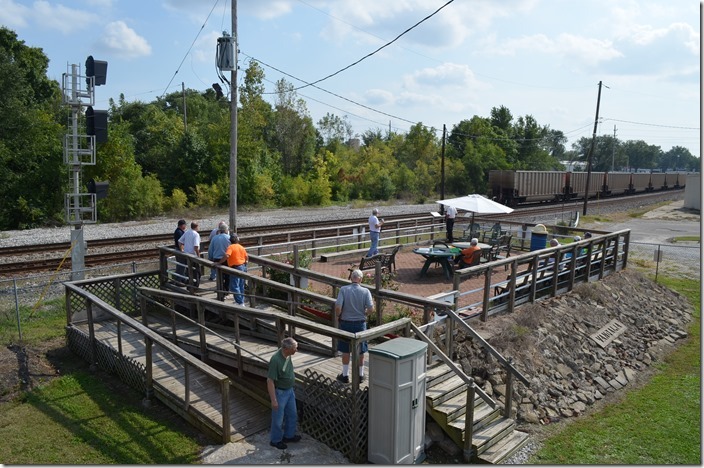 The afternoon activity for the L&NHS Convention on Saturday, Sept. 20th, was a visit to the Wabash Valley Railroaders Museum. 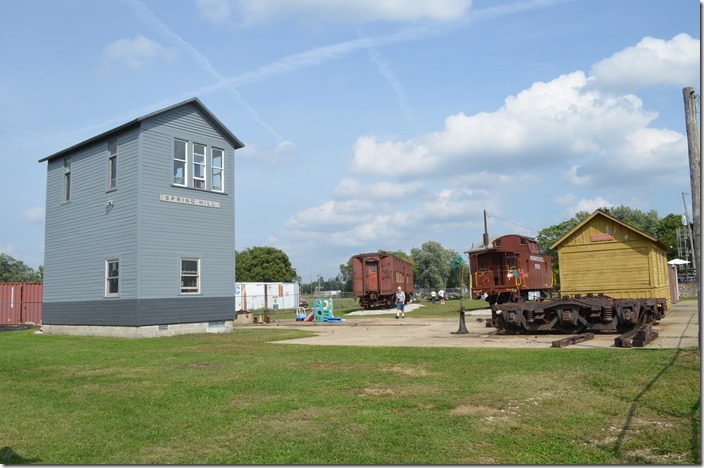 The museum is beside the grade crossing of two major CSX main lines – the north-south CE&D Sub. 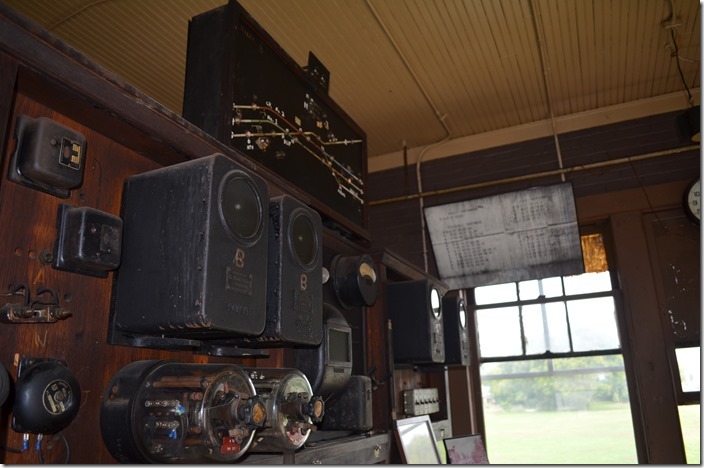 and the east-west St. Louis Line. The CE&D is former L&N, nee-C&EI. 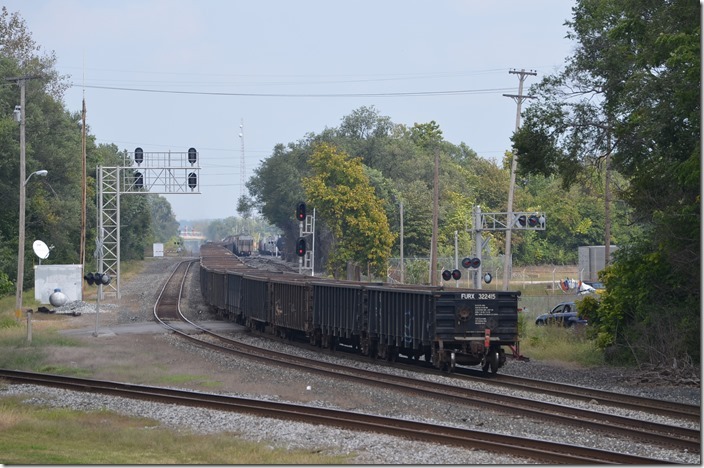 The St. Louis Line is former Conrail, exx-Penn Central, nee-NYC. 1. 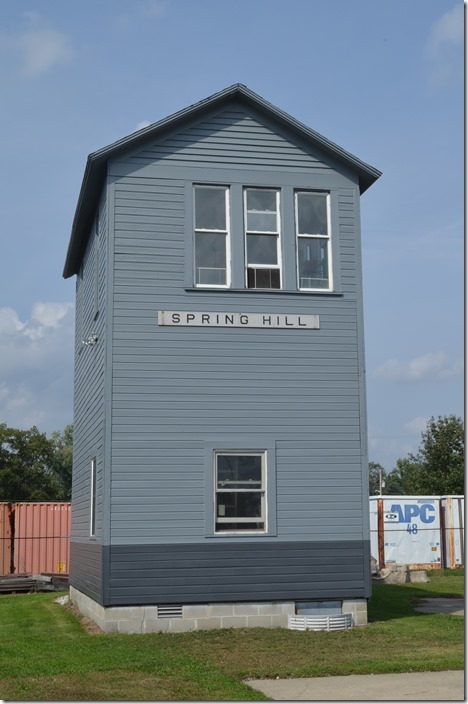 After closure in 1999, Milwaukee Road’s Spring Hill tower was transported to the museum site. 2. 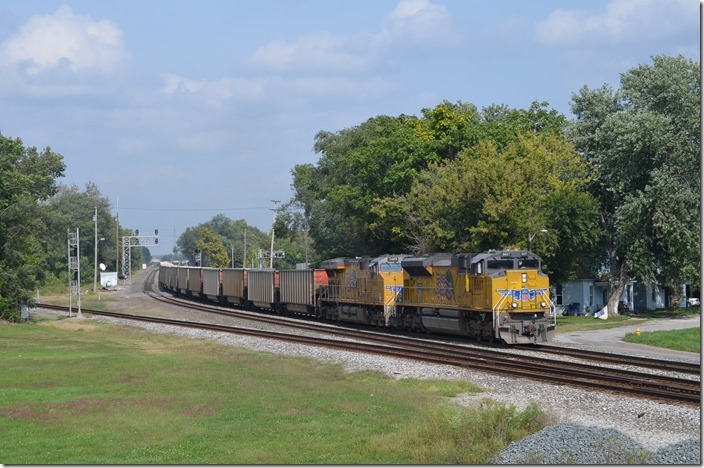 Spring Hill controlled the crossing of the Soo-CP with CSX’s CE&D on the south side of Terre Haute. View 2. 3. CSX ex-Pullman troop sleeper 43573 was ex-L&N, nee-C&EI. 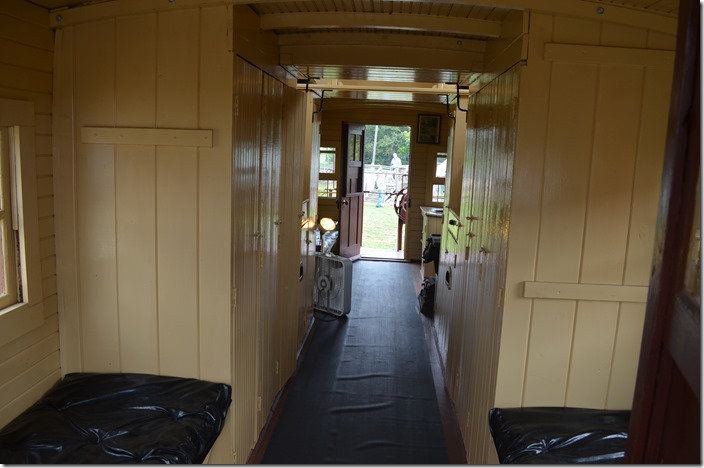 It served as a camp car until the mid-1980s. C&O also acquired a bunch of these. 4. PRR 981741 and L&N 43573. 5. 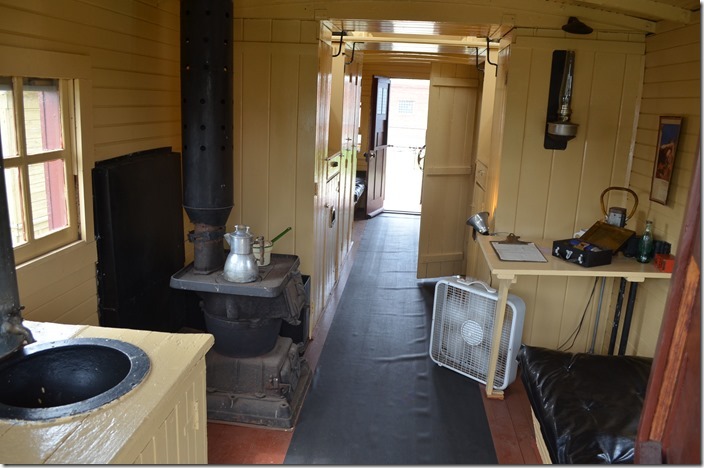 PRR 981741 N6b “cabin car” was rebuilt from a 4-wheel “bobber” caboose in Vandalia Railroad’s local shop. 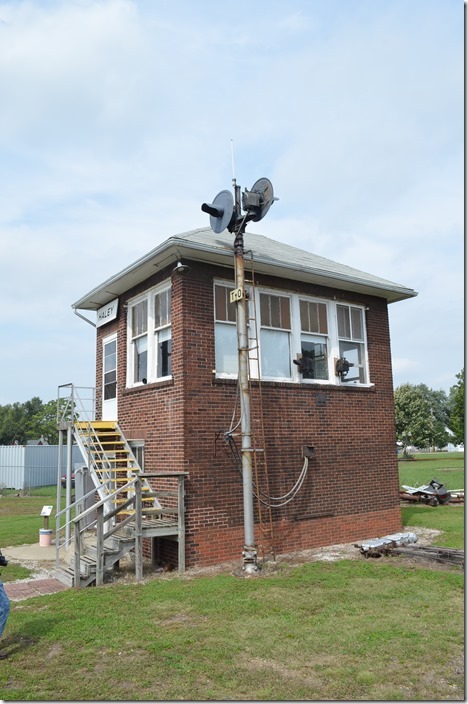 They were also built with the cupola offset to one end and used system wide. This piece is a GEM! 6. 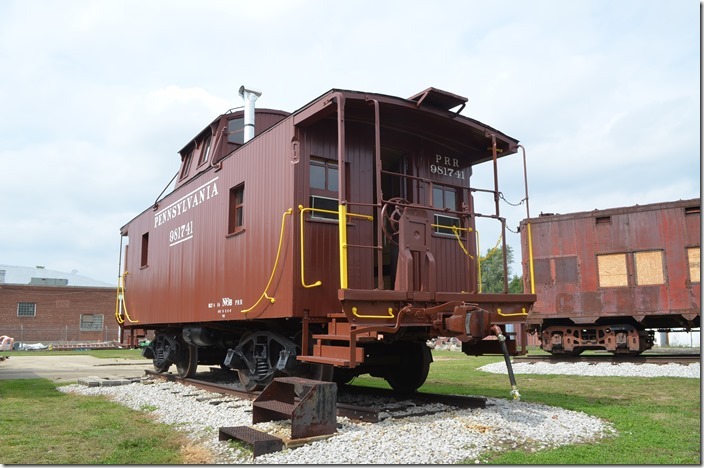 PRR caboose 981741. View 2. 7. 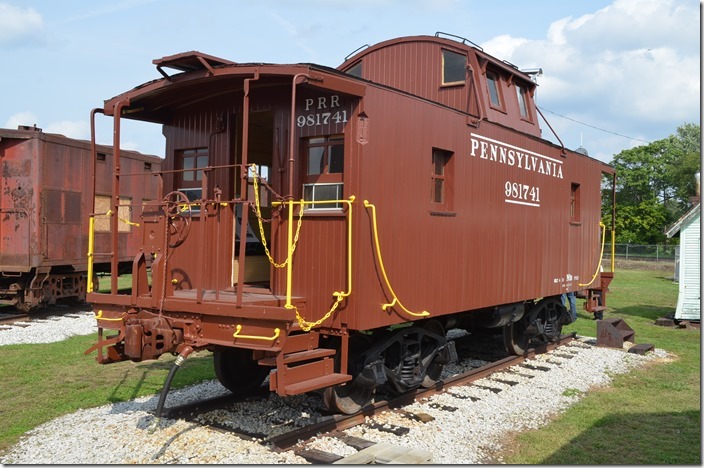 PRR caboose 981741. View 3. 8. 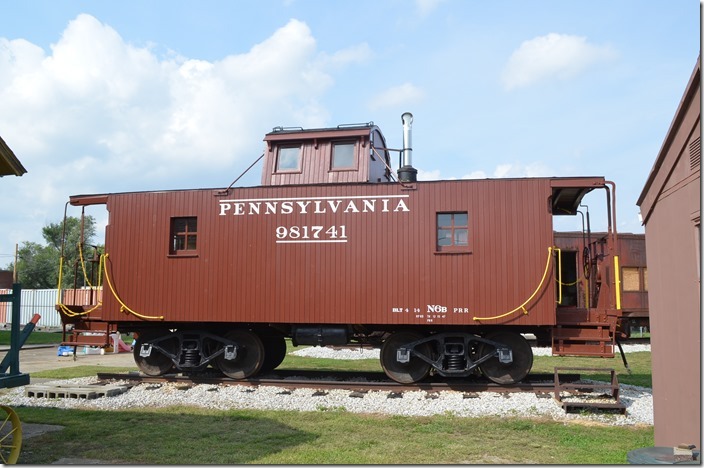 PRR caboose 981741. Inside view. 9. 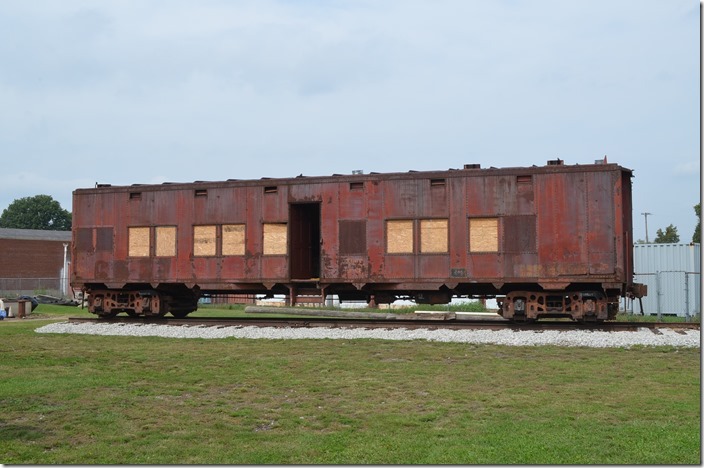 PRR caboose 981741. Inside view 2. 10. 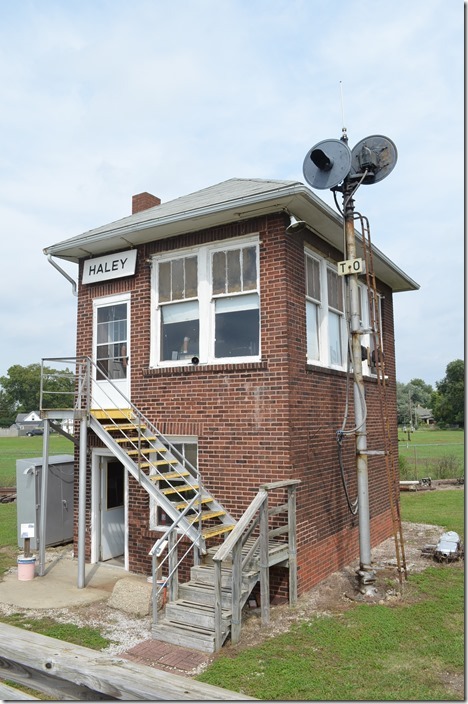 After retirement in 1999, C&EI Haley Tower was moved a short distance over to museum property. 11. C&EI Haley Tower. View 2. 12. CSX Q514 (Nashville to Avon Yard, Indianapolis) behind 3014-8527 came off the CE&D and is now e/b on the St. Louis Line. That’s the CE&D diverging to the left. 13. CSX 3014-8527. View 2. 14. 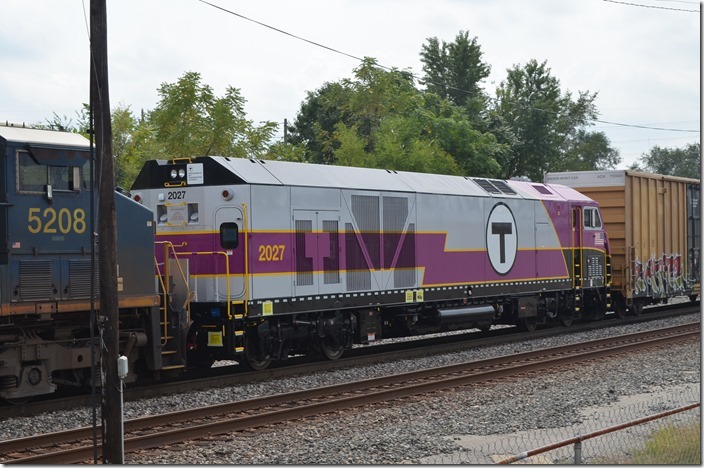 Massachusetts Bay Transit Authority MPI HSP-46 2027 is dead-in-tow on e/b Q372-19 (Rose Lake Yard, E. St. Louis to Selkirk Yard, NY). 15. 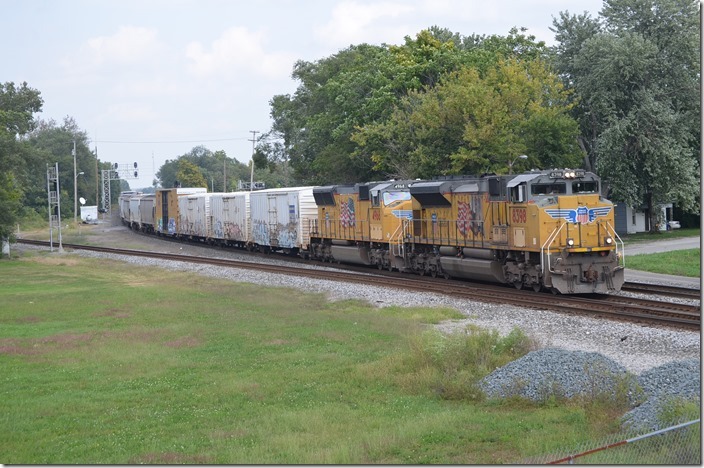 CSX 607-5211-35 lead w/b intermodal Q007 (Collinwood Yard, Cleveland to Rose Lake, IL). 16. 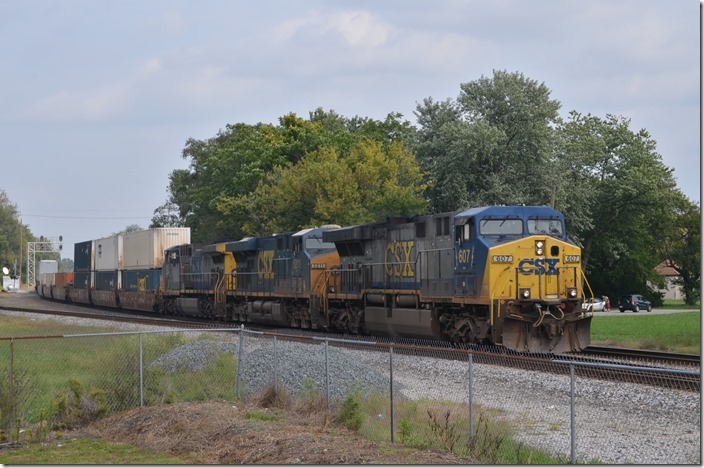 N/b empty multi-level train behind CSX 877-NS 2567 heads up the CE&D. 17. 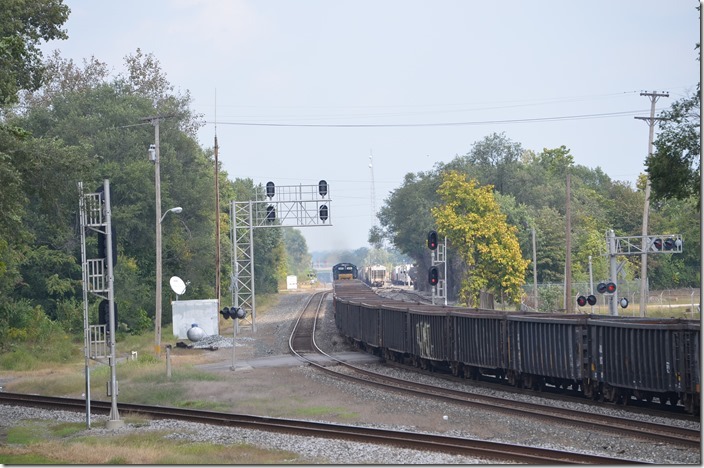 CSX e/b K594 (Rose Lake to Youngstown, OH) empty pipe gons behind 651-8710. 18. CSX 651-8710. View 2. 19. 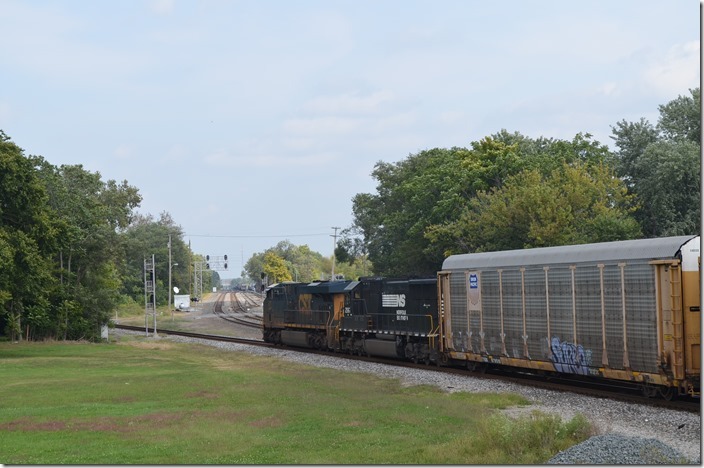 CSX 651-8710. View 3. 20. 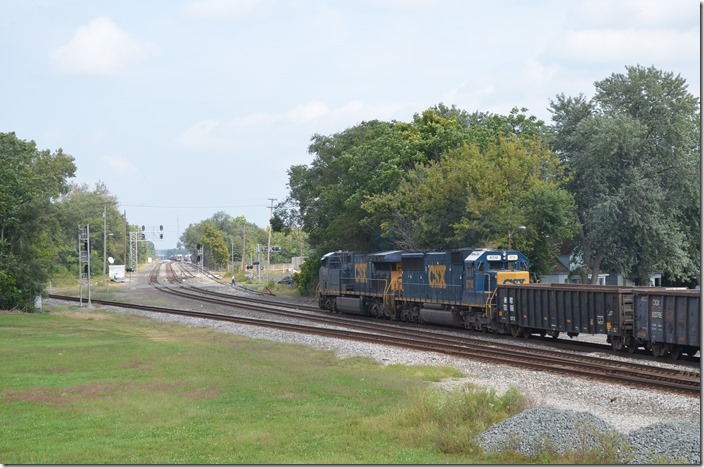 CSX w/b Q686 (Avon to E. St. Louis) behind UP 8398-4968. 21. The GRS interlocking machine is operational although not connected. C&EI Haley Tower. 22. The GRS interlocking machine is operational although not connected. C&EI Haley Tower. View 2. 23. 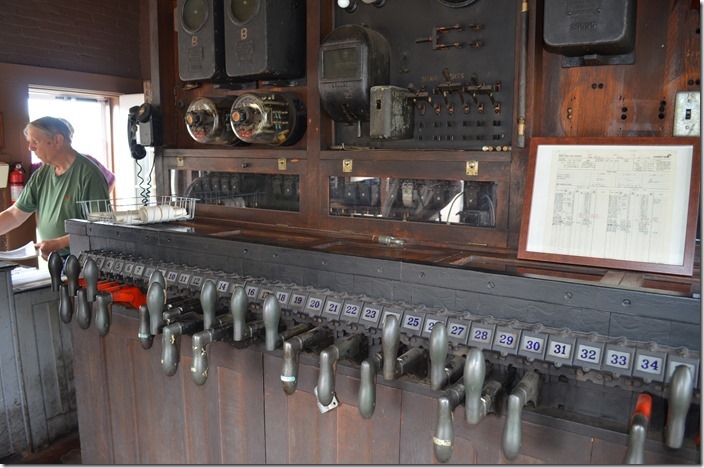 The computer shows trains approaching. C&EI Haley Tower. 24. 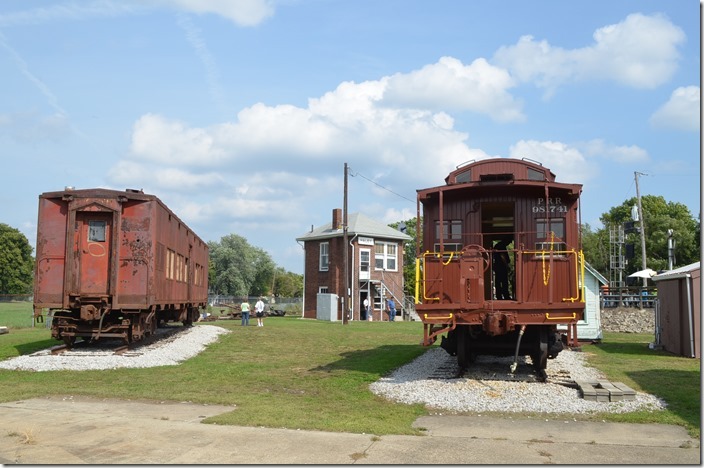 E966 (Terre Haute–St. Louis) behind UP 8807-7485 is an empty AERX (Ameren) coal train received from the Indiana Railroad at their connection just up the track. 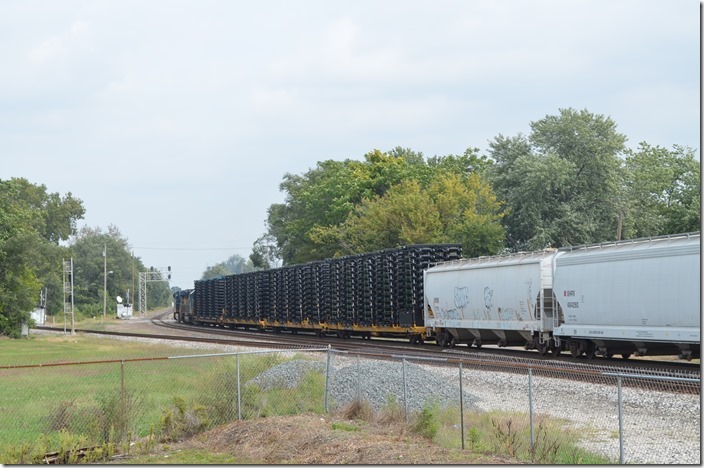 Ameren built out of their power plant at Newton, IL to allow INRD to deliver their Powder River coal instead of CN-IC. 25. L&NHS members enjoy the action from the museum’s viewing stand. 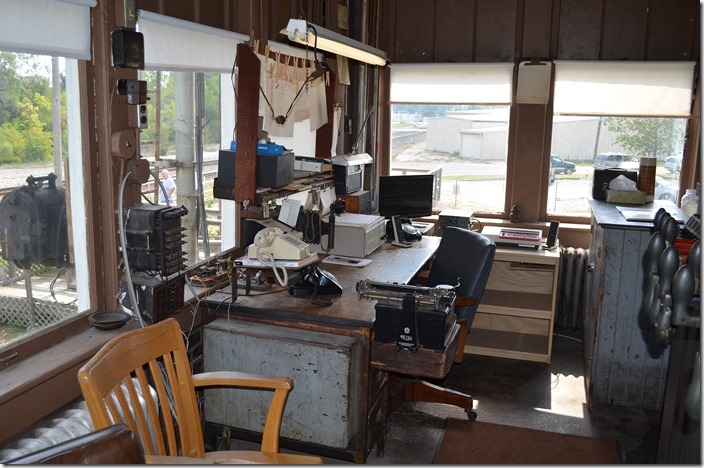 It was an enjoyable visit, and I recommend it to all railfans. Now it back to the motel for the evening’s activities. 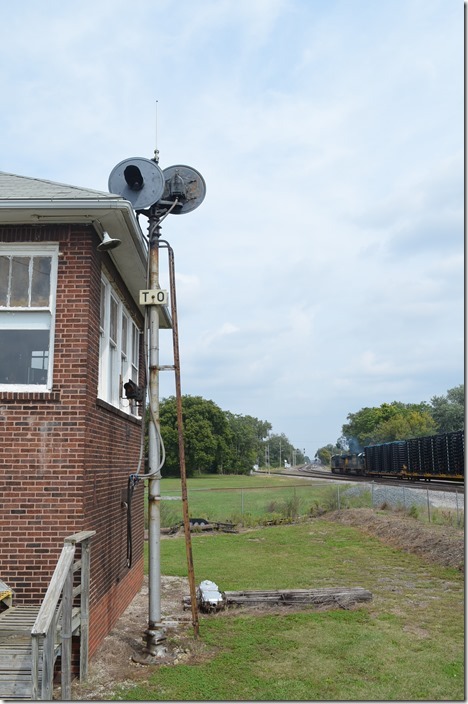 The following attachments are provided for your additional information, Terre Haute In map, Wabash Valley RR Museum Walking Tour guide, and Wabash Valley RR Museum brochure.